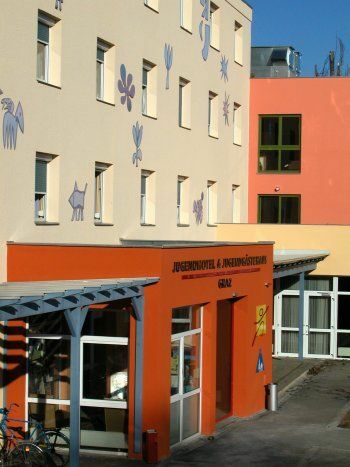 Jugend & Familiengästehaus Graz youth hostel is ideally located in a quiet park area close to the city centre and the old town of Graz.We offer accommodation in different categories, including dormbeds, two to four bedded rooms as well as special family rooms. Private rooms are en suite (shower/toilet in the room). Dormitories are very simple rooms with bunk beds (basement and first floor, shower/toilet on the corridor) Prices include a rich American breakfast buffet, linen and towels.Visitorstax of € 1,00 is NOT included in the price. WHAT'S THERE TO DO? No matter if you are spending time playing tablestop football (fussball), at the play station or playing one of our many games. Even on a rainy day nobody should be bored here in Graz. Additionally, THE climbing hall of Austria is situated in our house, the 'City Adventure Center' (1465 m2 Indoor-Climbing-Area, 215 m2 Outdoor-Climbing-Area, Skywalk 13 meters above the ground, Nature & Recreation Area). Families with children can also spend time in our inviting kids area or in the park outside.In 1999, Graz was declared UNESCO world cultural heritage site because of its stunning old townl. 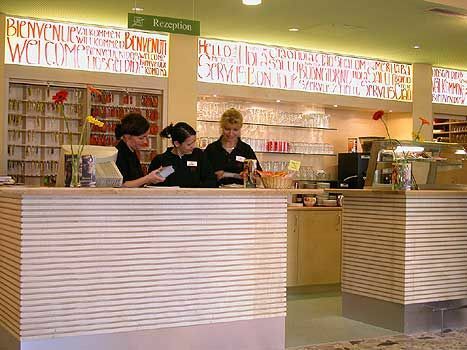 Even though 'Culture Capital Graz 2003' is over, Graz continues to impress with its prime cultural selection.The Youth & Family hostel Graz is a Hostelling International (HI) hostel. A valid HI membership card is required to stay at HI hostels. If you are no member, an extra fee of € 1,50 will apply. You can get a membership card before your trip to Austria in your home country. Those arriving by car can park their vehicle in our car park for 3 euro per night. If you are arriving by train, bus number 50 (2 stops) will take you from the station directly to the Youth & Family hostel Graz.